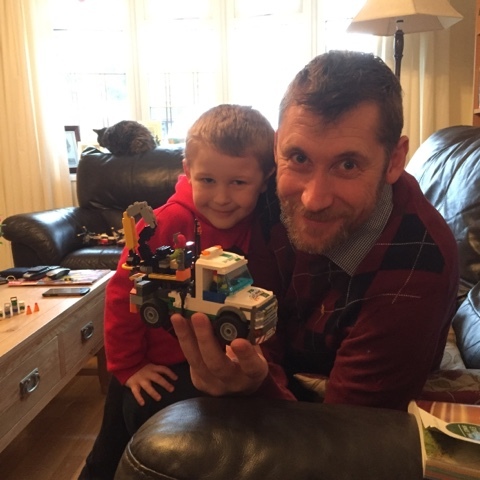 It's Sunday, it's snowy and it's family day which means the boys are playing Lego and I'm busy with all the little jobs that need sorting. 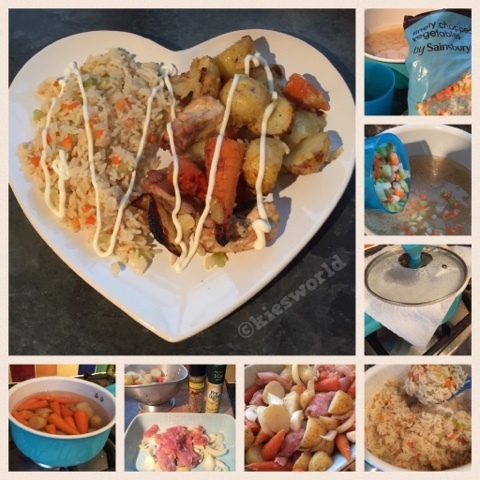 Sunday dinner today is an easy traybake served with rice & drizzle of mayonnaise. 1. Roughly peel (or not) and chop potatoes, carrots & sweet potatoes. Pop onto boil for a few minutes just to slightly soften. 2. 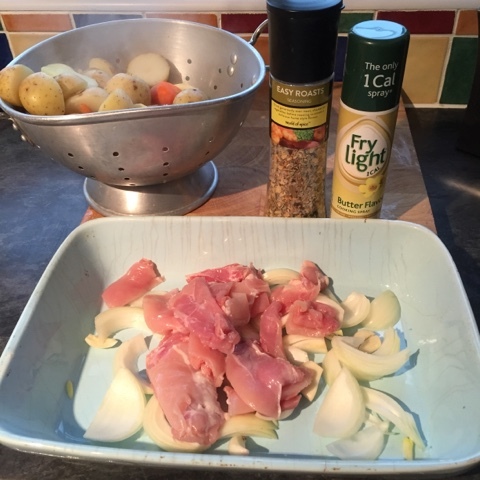 In a roasting dish add pieces of chicken thighs, a whole onion roughly cut into large chunks and a few peeled cloves of garlic. 3. 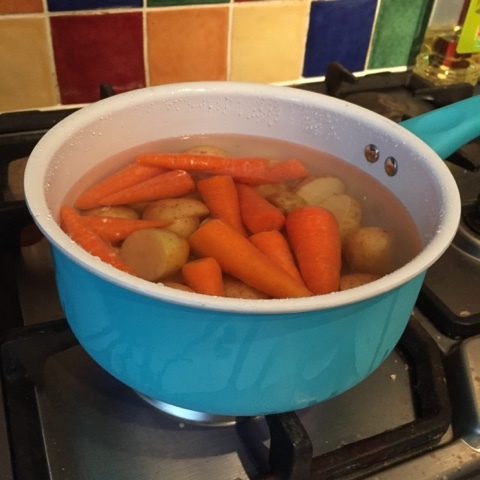 Add the parboiled vegetables to the oven dish, spray liberally with frylight and sprinkle with flavouring. Mix well & spray snd sprinkle again. 4. 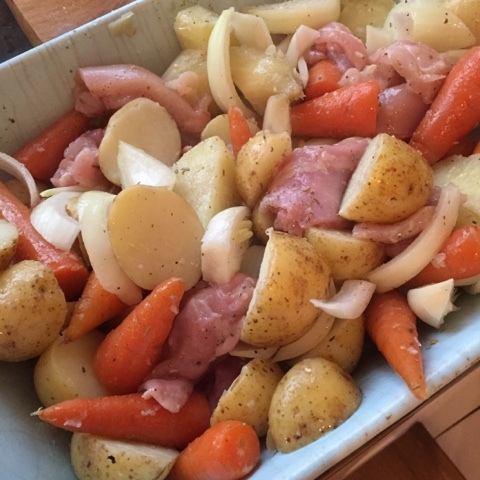 Bake in medium oven for approximately 40 minutes or until chicken cooked through. 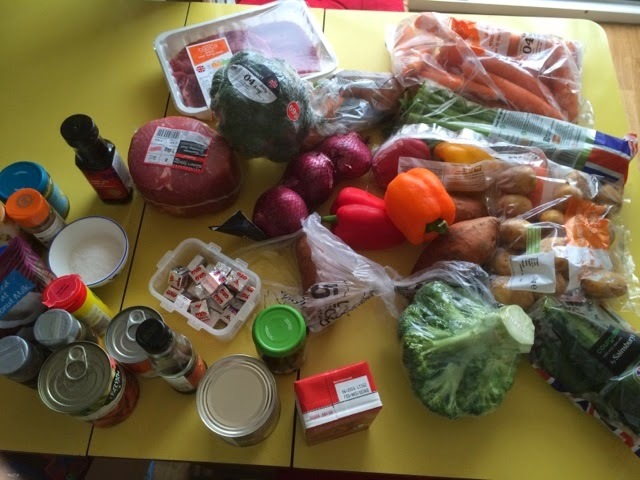 Turn often during cooking. 6. 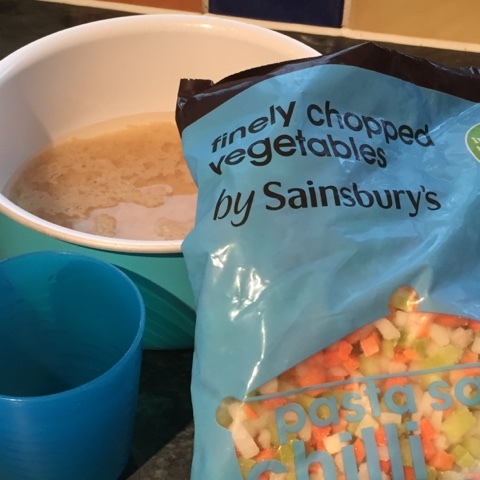 Add vegetable stock cube and bring to boil. 7. 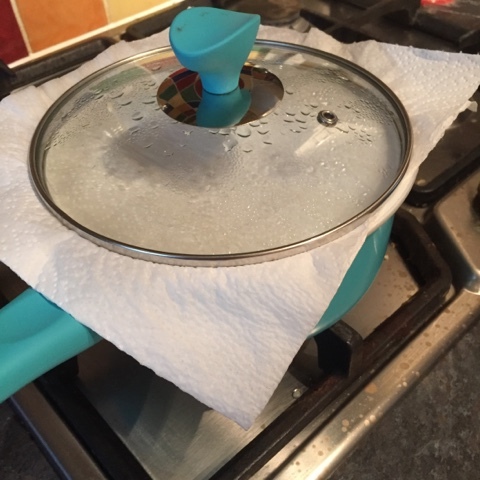 Once boiling cover with kitchen roll and place lid tightly. Turn heat to lowest settlng. 8. 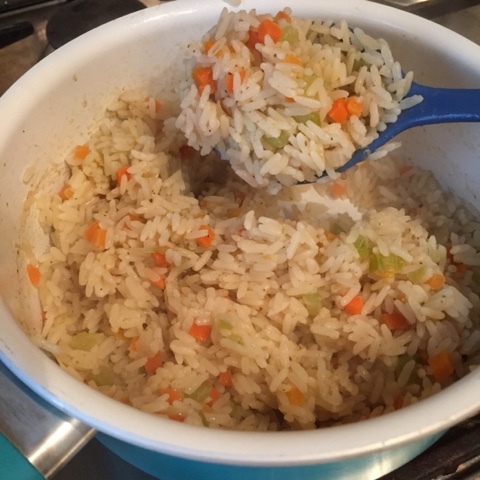 Come back in 15 minutes & rice should be perfectly cooked. If water remains replace kitchen roll & lid for few more minutes. 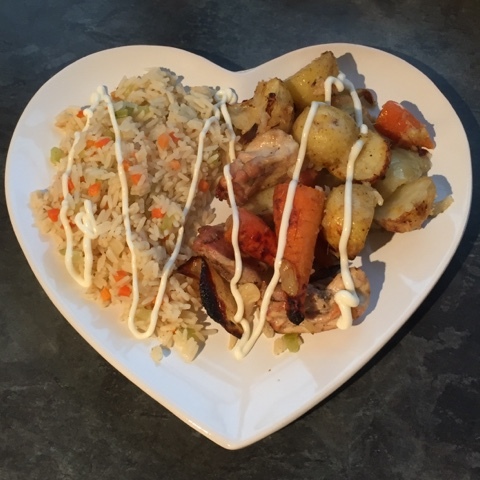 Serve perfect vegetable rice with chicken tray bake and drizzle with some extra light mayonnaise for an easy and incredibly tasty meal. 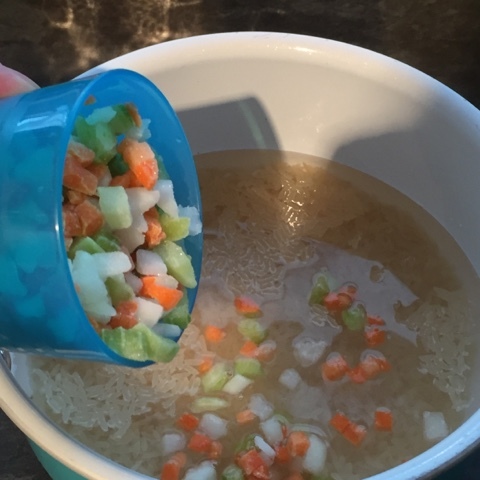 Don't forget to count syns for mayonnaise!